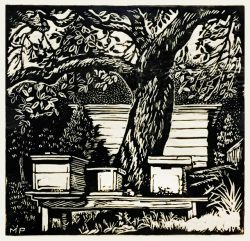 Mabel Pugh is a native of Morrisville, North Carolina. Mrs. Ruth Huntington Moore encouraged Pugh to study art at Peace Junior College in Raleigh. 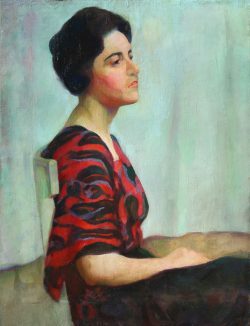 Mable Pugh went on to study at the Art Students’ League in New York, then in Philadelphia at the Pennsylvania Academy of Fine Arts. 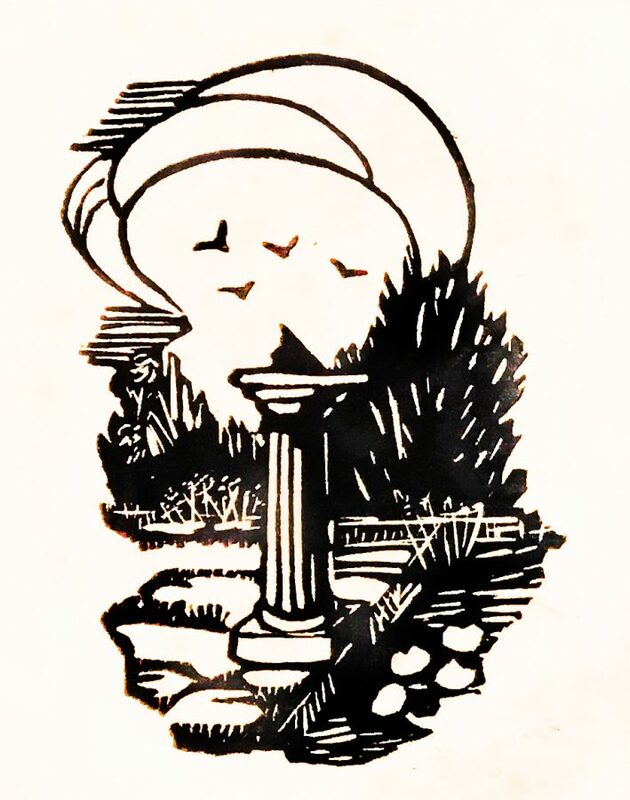 Mabel Pugh won the Cresson Traveling Scholarship in 1919 while at the Academy. 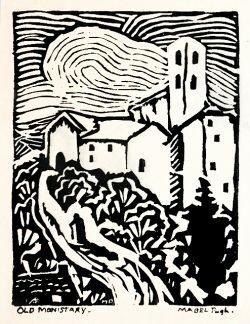 This was her first opportunity to travel and sketch in Europe and she was there for four months. 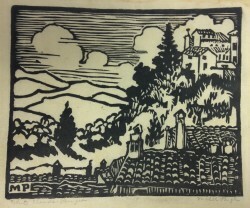 When she returned from Europe, Pugh settled in New York. 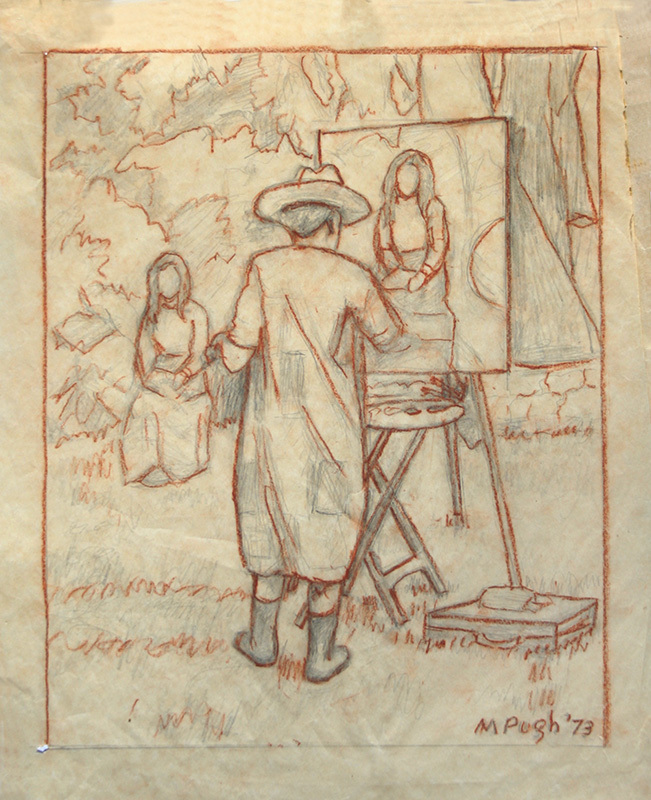 She began to work as a professional artist. 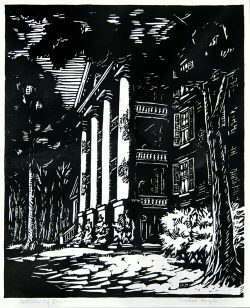 Success followed soon. 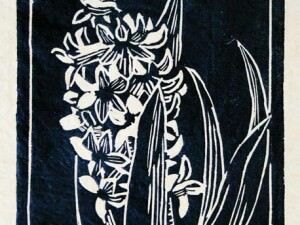 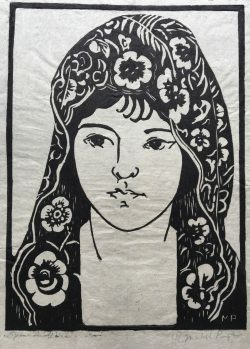 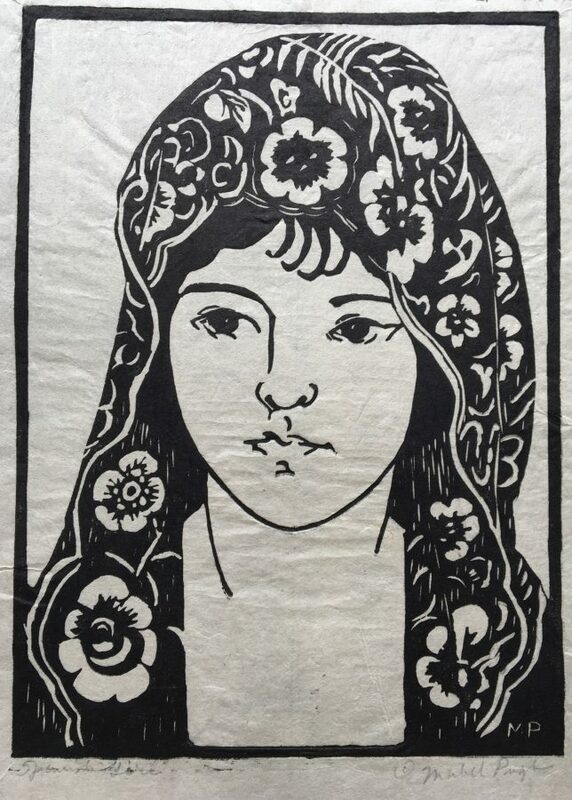 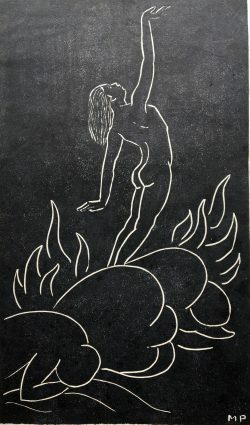 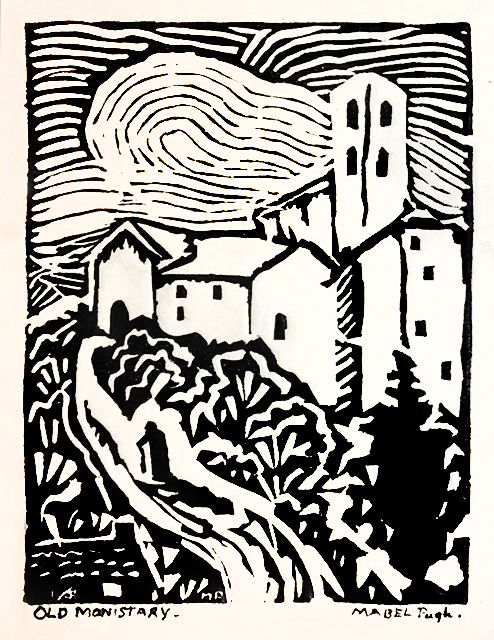 Her block prints began appearing on the covers of popular novels. 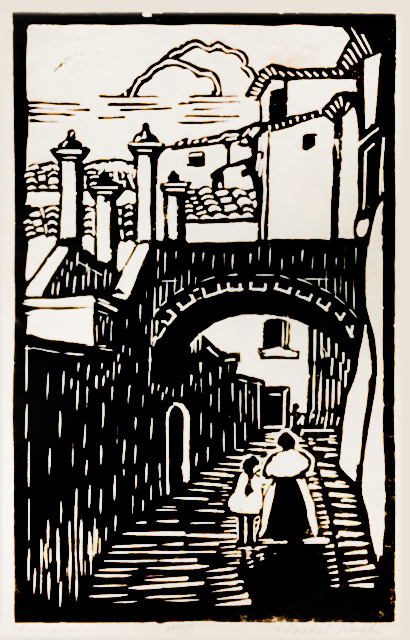 Her illustrations were published in those same books. 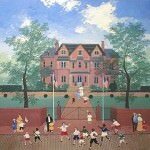 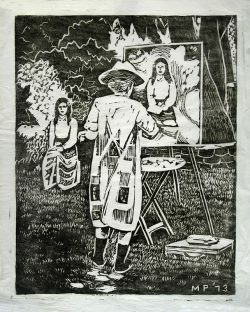 Then her paintings started to receive recognition at exhibitions. 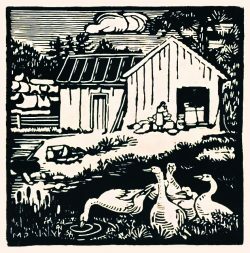 Publishers quickly recognized Mabel Pugh’s talent. 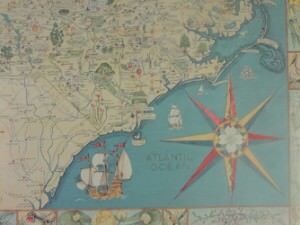 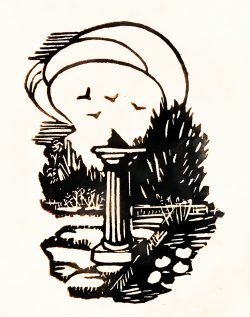 Her illustrations were used in many magazines such as McCall’s, Ladies’ Home Journal, The Forum and The Survey Graphic. 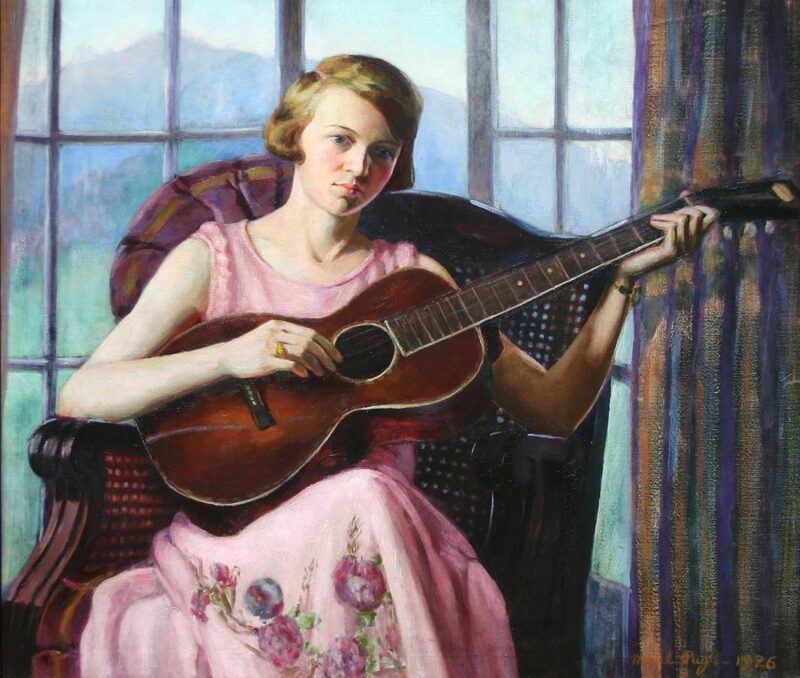 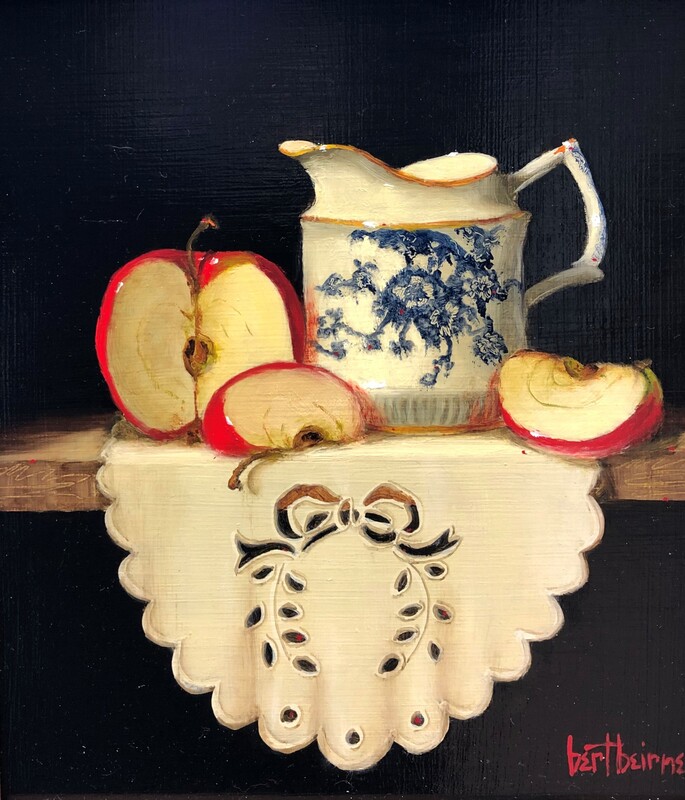 The artist won numerous exhibition awards at various venues including the Pennsylvania Academy of Fine Arts in 1920, the National Association of Women Painters and Sculptors in 1934. Mabel Pugh’s painting “My Mother” was included in the first New York World’s Fair. 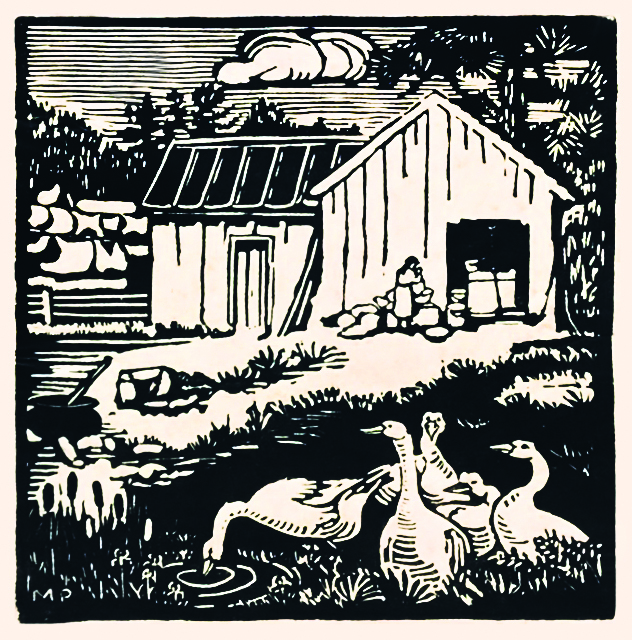 She wrote and illustrated “Little Carolina Bluebonnet” which was first published in 1933 by Crowell. 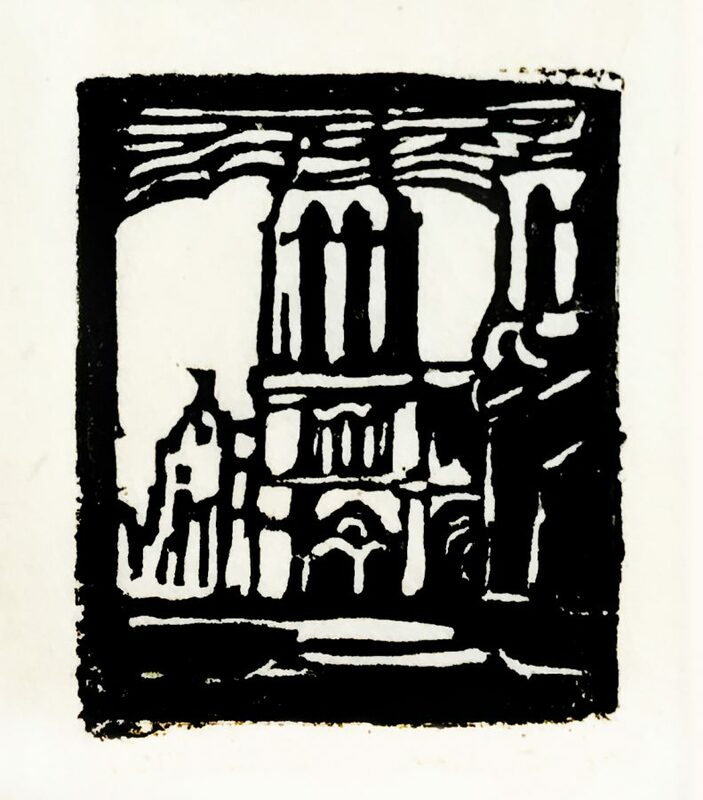 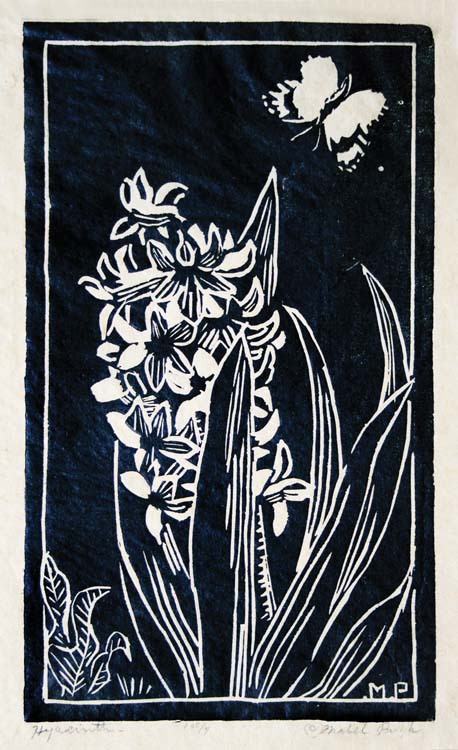 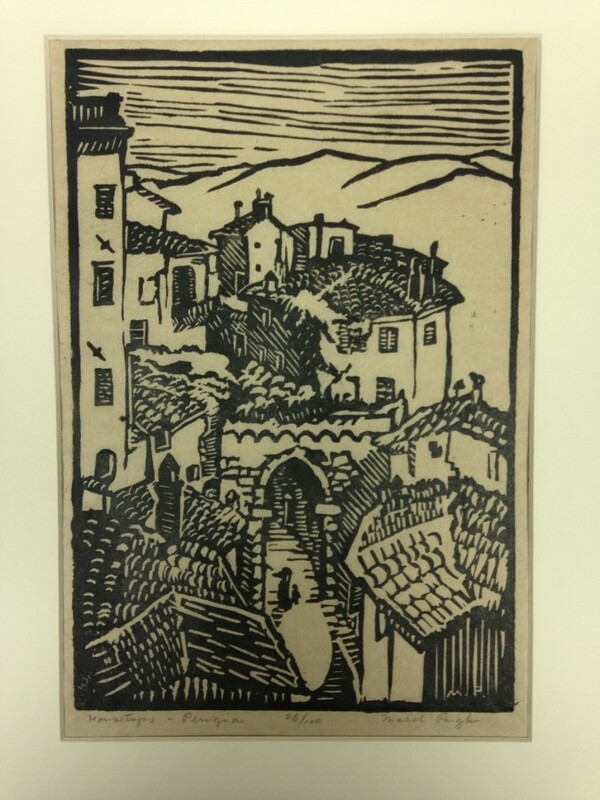 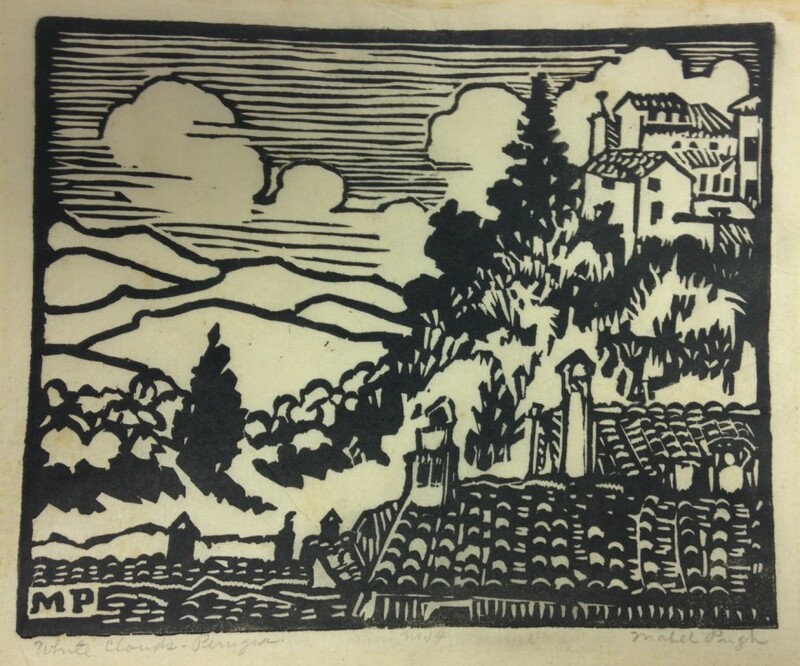 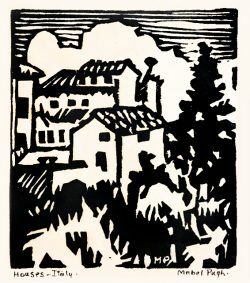 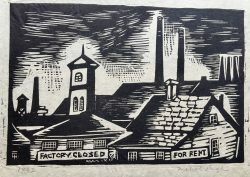 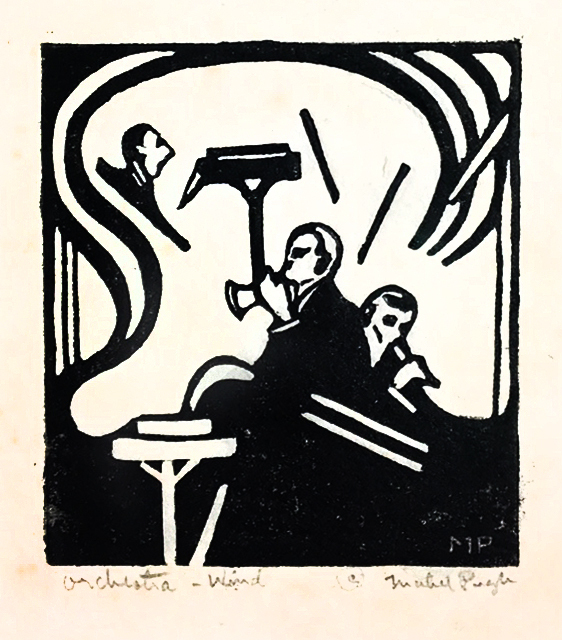 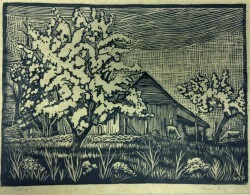 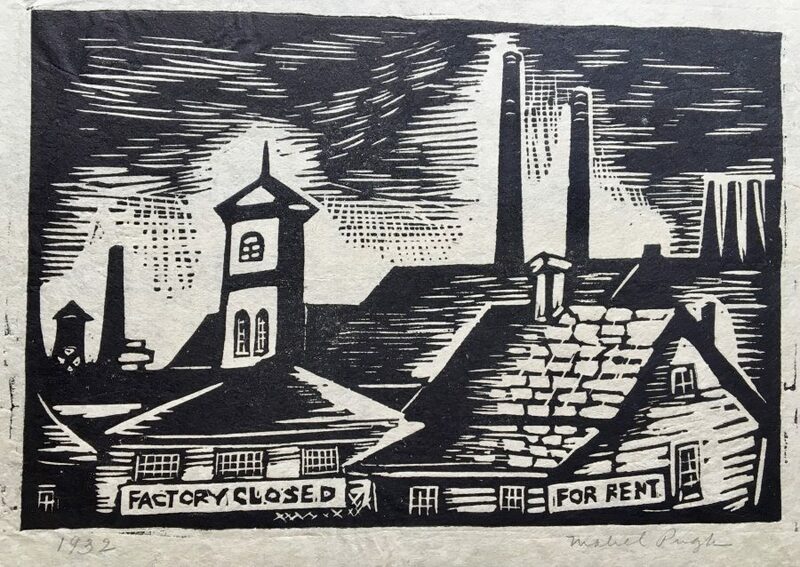 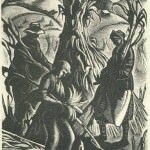 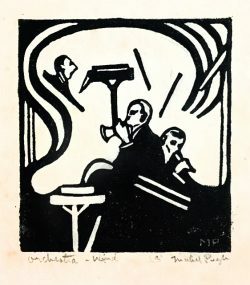 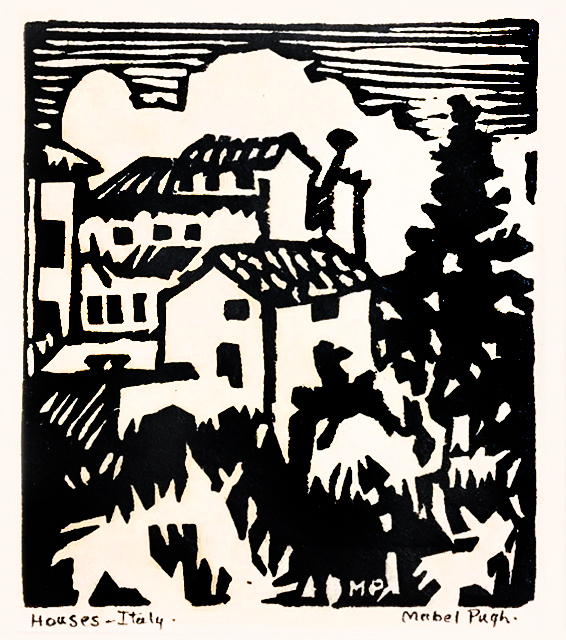 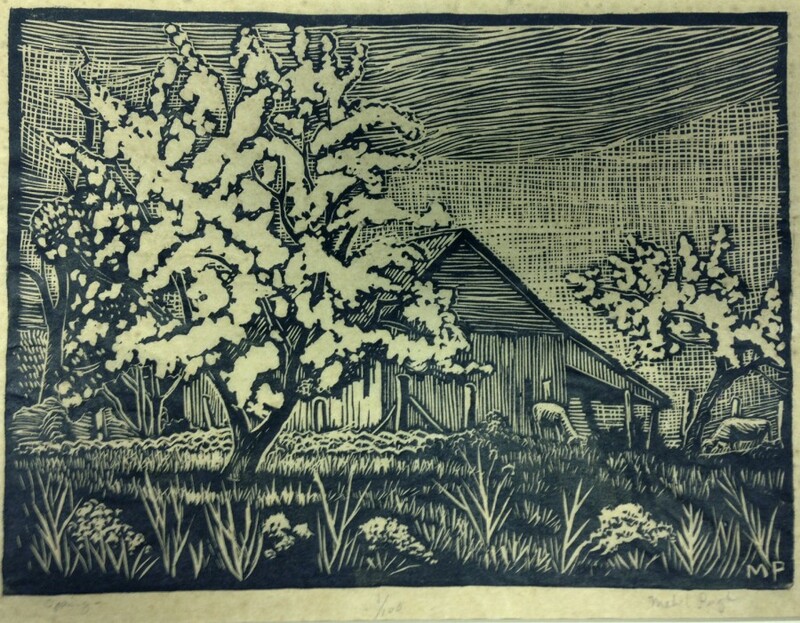 In 1926 Pugh exhibited a series of wood block prints in the International Print Makers Exhibition at Los Angeles. 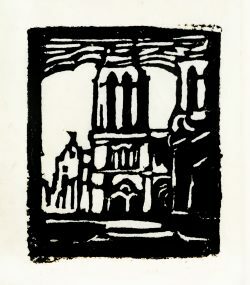 This series, done from sketches she made in Europe, received accolades from as far away as Australia. 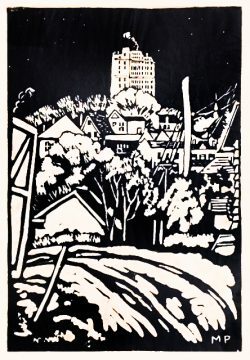 The director of the Museum of Fine Arts in Houston, Texas, purchased a piece and later hosted an exhibit of the artist’s prints at that museum. 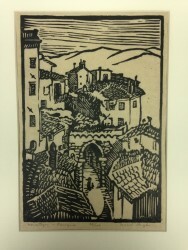 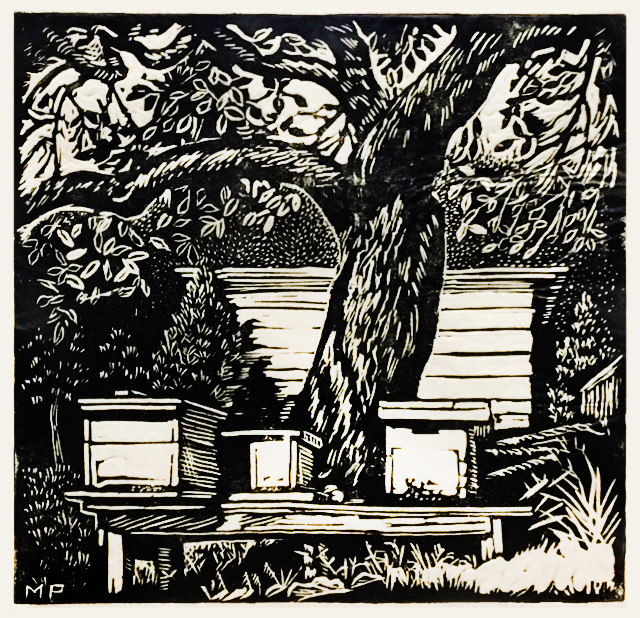 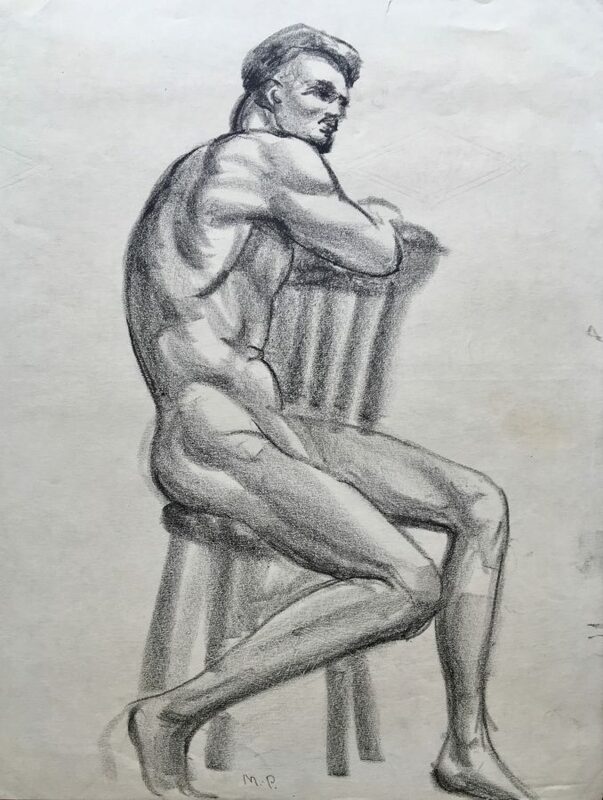 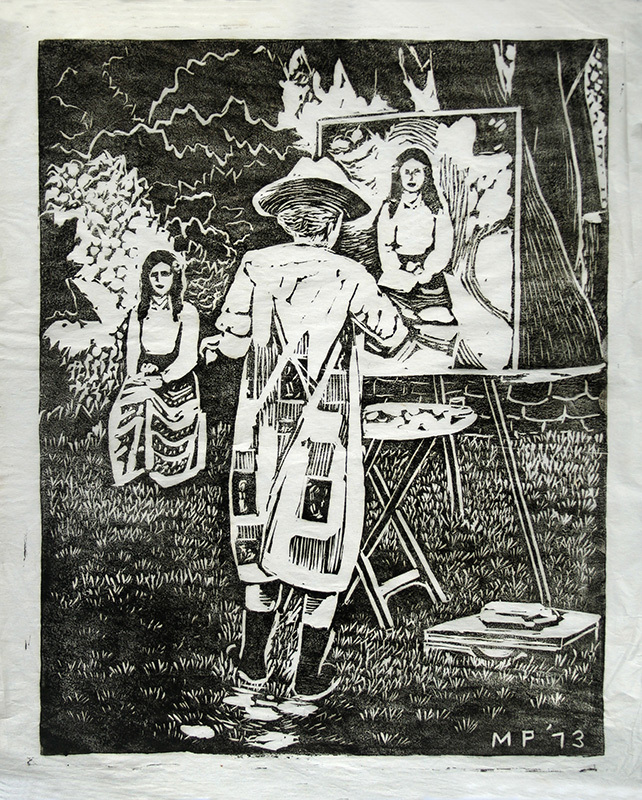 In 1931 the artist was recognized as a charter member of the North Carolina Association of Professional Artists, though already well established in New York City as a printmaker, painter and illustrator. 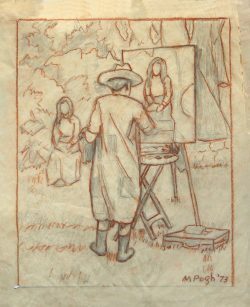 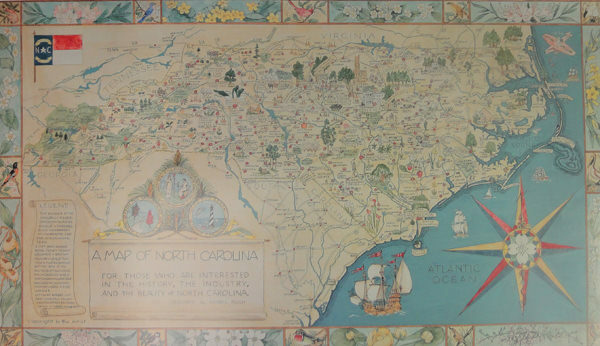 When her original art instructor Mrs. Moore passed away, Peace College in Raleigh asked Mabel to return and become head of the Art Department; she accepted the offer and moved back to her hometown of Morrisville in 1938. 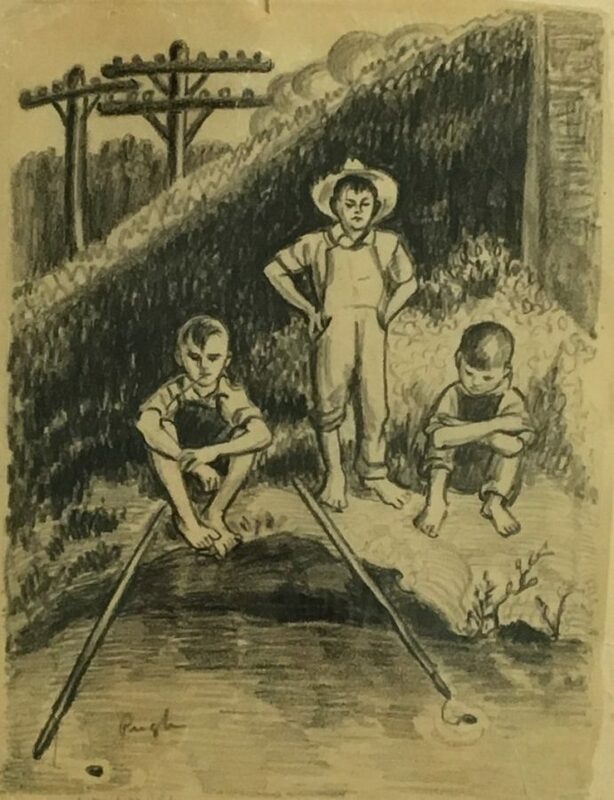 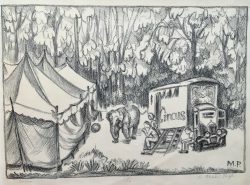 Pugh continued to publish her illustrations and retired from Peace College in 1960, so she could devote all of her energy to her creative endeavors.